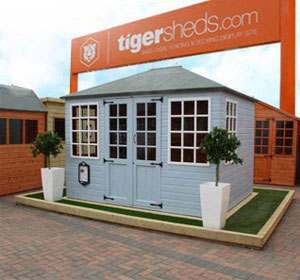 Tiger Sheds manufacture and supply the highest quality garden sheds and garden buildings to the UK. Our Garden buildings include Log Cabins, Summer Houses, Wooden Playhouses, Garden Storage Sheds, Metal Sheds, Pet Houses and Bike Sheds. 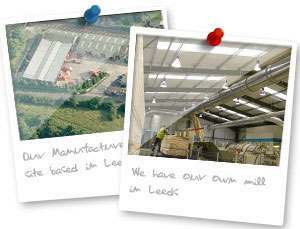 From large sheds to small sheds we're able to offer a wide range of sizes for the majority of our products. We also manufacture the world's first Zombie Fortification Cabin and Spider Proof Shed. 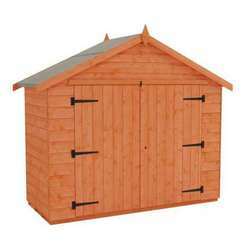 We have a wide range of high-quality, wooden garden sheds in a variety of sizes to suit your outdoor building needs. Why buy from Tiger Sheds? High quality 19mm, 28mm and 44mm Log Cabins - bespoke options available. Made to order by us in our state of the art manufacturing unit. Click here for further details about us. 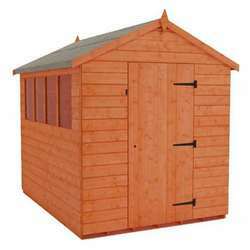 Our huge range of pent garden sheds can be found here. 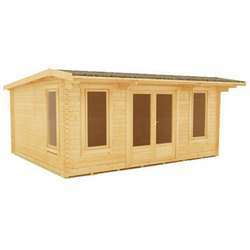 A huge range of storage sheds in various styles and sizes can be found here. All of our storage sheds are built with the highest quality materials for security and protection of your possessions. 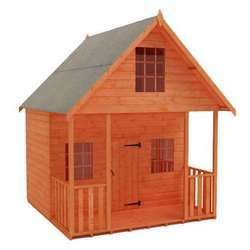 Tiger Sheds is a leading online retailer of Garden Sheds and Garden Buildings. Our vast product range includes Storage and Metal Sheds; alongside Log Cabins, Summerhouses, Wooden Playhouses, Wooden Garages and much more. From large sheds to small sheds we're able to offer a wide range of sizes for the majority of our products. 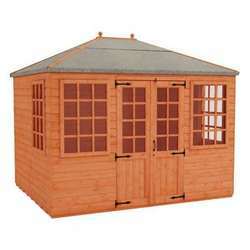 All at amazing prices plus FREE delivery to most of GB mainland (exclusions apply) on all of our garden buildings. We also have a comprehensive help centre section providing a range of important and helpful information. View our building a shed base section which is situated in the help centre for information on how to build a base for your garden shed or log cabin. Our wooden garden sheds are of a quality so high that our competitors simply cannot compete – they feature extra thick framework, pre hung doors, no cheap OSB material in the roof or floor, ample height (with an additional board between the window and roof), thick cladding (shiplap tongue and groove and overlap) and much more. If you need assistance choosing your new garden building, we can help you to decide on the perfect shed for your storage needs. Read our Buyer's Guide for Choosing a Garden Shed and Buyer's Guide for Choosing a Summer House for helpful information before you buy. Our team is dedicated and ambitious, well trained, helpful and knowledgeable in all areas of the website and its products. A member of staff is always just a phone call away to answer any questions about our wooden garden sheds or log cabins. 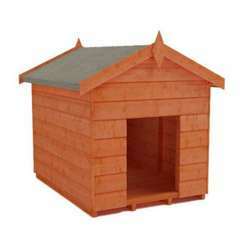 We offer FREE delivery on all of our buildings that are over £100. Free delivery is available to the majority of mainland Great Britain (exclusions apply). This means the low prices shown on our sheds and log cabins include everything: delivery, VAT, the lot!! We have a superb customer service record and a long list of happy customers who have purchased from us in the past. This only serves to emphasise the quality of all of our products and the fantastic value for money on all garden buildings. Our prices are of the most competitive you can find. If you want value for money and require a building that lasts for years to come, this is the place to be. Our customer care is second to none. We have continual testaments for our excellent service, first class delivery and fast and helpful responses to all enquiries. See our customer reviews for an insight into the feeling of our customers about our products and services.